On Sunday, July 19th, at 7.30pm, Sinfonia Chorale are performing Music for a Summer Evening at Patchings Art Centre, Calverton, NG14 6NU, as the closing event of their Summer Exhibition. There is a distinct Animal Theme in the programme which includes a group of pieces called Prayers from the Ark by Ivor Davies, Aaron Copland's I Bought Me a Cat and Eric Whittaker's beautiful part song The Seal Lullaby. The final item is a musical entertainment (with surprises!) 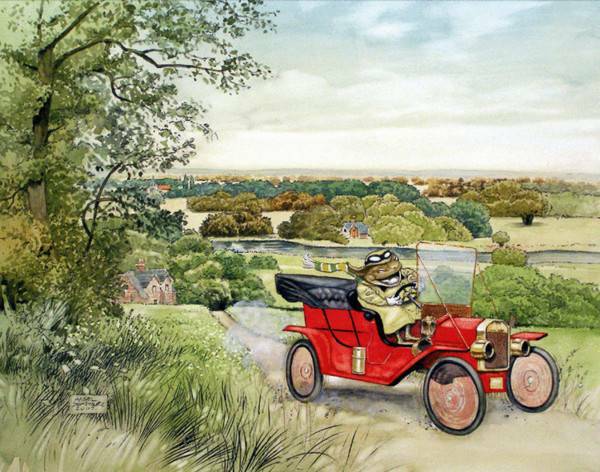 based on Kenneth Grahame's book The Wind in the Willows set to music by John Rutter and accompanied by Charles Tebbs, Martyn Spencer (bass) and Jon Richmond (drums). The Charlie Tebbs Trio will also play some jazz favourites including Gershwin's Summertime and Rodger's My Favourite Things during the concert. As you can see, this offers a varied and eclectic mix of music to be enjoyed on a pleasant summer evening. Tickets are available from Patchings only - Tel. 0115 9653479. They cost £12.50 and include wine and nibbles. Do come along. We look forward to seeing you!